Things are likely to be a bit quiet on the Truly Myrtle blog over the next week. We're off on a couple of road trips before Christmas and then we're having a big do at our place on Christmas day. I'll not make any promises to pop in and that way, if I do manage a post, it'll be a nice surprise. If you would like to see a little of what I'm up to when I'm away from my blog you might like to follow me on Instagram. Are you on Instagram? I love it. It's a fun, friendly community over there. Like a big, happy, virtual craft group. I post pictures almost every day. Little bits and pieces of life behind the scenes at Truly Myrtle. Of course there's an awful lot of knitting but often there's other lovely stuff too. See you there? This post will be the last "Share All The Things Friday" post. But, never fear! I know some of you have really enjoyed hearing about things that catch my eye, so it's not going for good, just changing a little. I have plans - so keep reading! So, I've made plans! I'm starting a free monthly newsletter in 2015. I'm quite excited about it. It'll include articles, bits that have caught my eye, previews, peeks behind the scenes and recap a little of what's been on the blog in case you missed it. It'll all be exclusive to newsletter readers and I'll make sure it's delivered straight to your inbox! I'm hoping it'll be like a mini-mag each month, a nice read with pretty pictures to enjoy with a cuppa. If that sounds like something you'd enjoy you can sign up by popping your email address into the box at the top of my sidebar where it says "subscribe to Truly Myrtle's Handmade Newsletter". Expect the first newsletter in the third week of January! I've been finding Madelinetosh's instagram feed really fascinating lately. Amy (the founder and owner of the very stunning Madelinetosh Hand Dyed Yarns) not only dyes stunning yarn but also takes beautiful photos. Lately she has been exploring natural dyeing with all sorts of materials from avocado stones to black beans. Her photos are stunning and happily, not only is she showing us what she's dyeing but she's also writing long, detailed explanations of her dyeing process. It's pretty cool. I'm trying really hard to stick to my new mantra of "keep it simple". It's not easy. Especially with skeins of un-dyed yarn lying around just desperate to be coloured ... No, they'll have to wait. I am determined to keep it simple (even if I am still ordering interesting books from the library which might suggest otherwise). 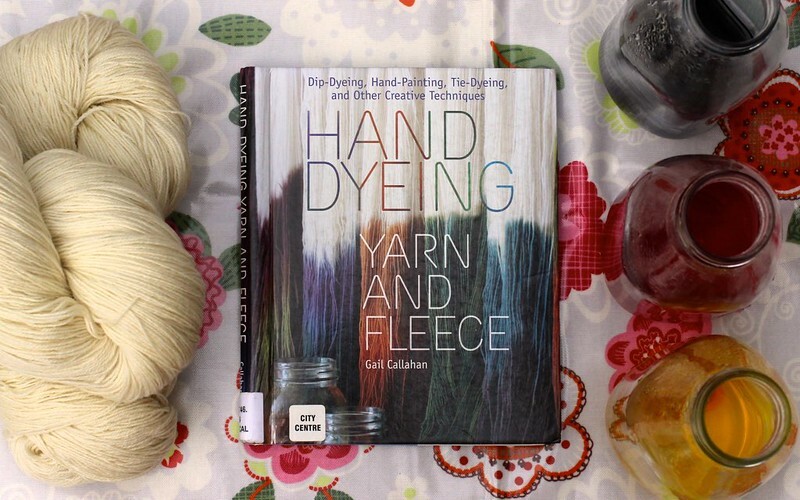 I have read a fair few books about dyeing yarn but this has to be the best one I've seen so far. Gail Callahan's Hand Dyeing Yarn and Fleece is fantastic. 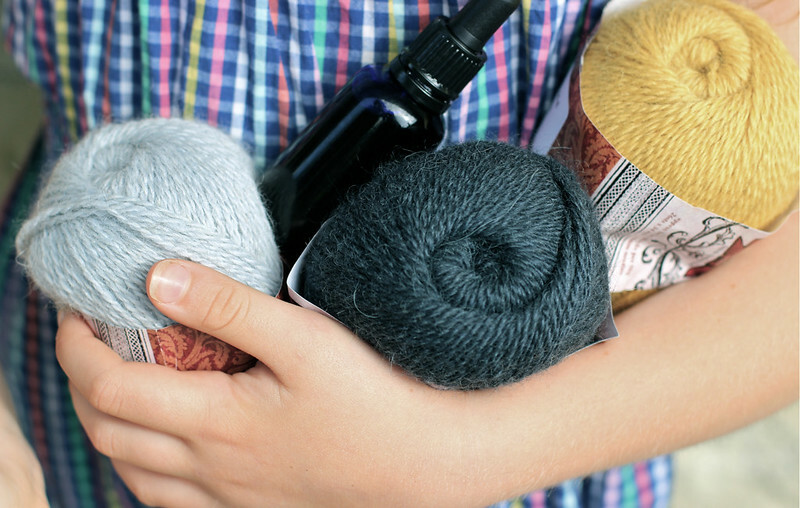 It's comprehensive; covering a range of different ways to dye wool and offers step-by-step, easily understood instructions including lots of helpful tips. I like it so much I'm thinking of purchasing a copy for myself. For a while now I've been hearing reports of a fantastic new podcast. Then this week, two bloggers that I really enjoy (Abby from While She Naps & Kat from Slugs on the Refrigerator) both said they were avidly listening in. I decided that if they liked it, it was probably worth checking out, so I did. Now I'm hooked. Serial tells just one story, a real story, of a murder committed in 1999 in Baltimore. Each episode follows on from the other and characters and details evolve week on week. It has been released weekly since October 2014 (so you can listen to them back to back now if you like) and the last episode (number 12) is apparently coming Thursday. I'm captivated. If you listen in - start with episode one. You won't be disappointed. It's been so interesting for me to discover how "local" the internet can be. In the UK I read lots of craft and knitting blogs from all over the world but it seems a large number were from UK bloggers. Now I'm down in New Zealand I'm discovering, almost by accident, interesting craft bloggers down this end of the world. I'm not sure why I never found them before? Anyway, one of my new favourites is The Craft Sessions. Felicia knits and sews from Melbourne in Australia and her aesthetic is just lovely. I'm enjoying that she has a hot summer and a short winter like me and she makes crazy rules for herself about her stash and recycling yarn that sound like something I'd do. I'm really enjoying hearing how she's getting on, seeing what she's making and living vicariously. Felicia and a group of other like-minded crafters also run an annual event called The Craft Sessions - a weekend retreat of craft workshops with a good dose of yoga and delicious meals thrown in. One day I'd just love to go. The next one is September 2015 in the Yarra Valley, just out of Melbourne. Doesn't that sound heavenly? I've always cooked from scratch because that's how I was brought up but this past couple of years have seen some fairly dramatic changes to my diet. In an attempt to get a handle on some health issues, I initially went gluten and dairy free and more recently completely grain-free. I try to see it as an adventure rather than a burden and since I don't tend to cook something unless I can eat it too, the whole Myrtle clan is enjoying mostly grain-free meals and snacks with me. While I make up a fair few concoctions myself, I am fairly obsessed with regularly trying new recipes. My pile of library books usually contains about as many cookbooks as knitting & crafty books and I've got a generous selection of delicious and beautiful recipe books on my shelves at home too. The most recent addition to my recipe book collection was given to me by my mum. Against All Grain was written by Danielle Walker who has a blog by the same name. So far, I'm loving it. It's beautifully presented and simple to follow. I've tried a couple of the recipes but these biscuits are getting the biggest thumbs up by my kids. 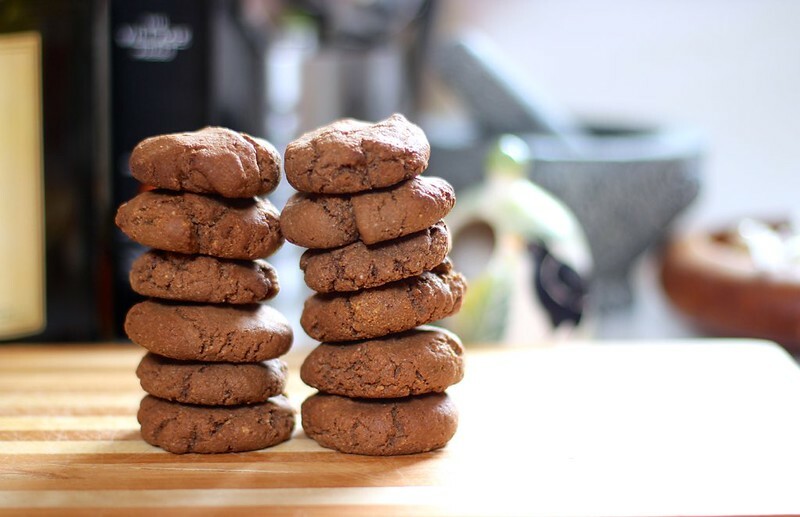 They are a variation on the real - deal chocolate chocolate chip cookies from her book (and her blog) and they are fantastic! I've found it's tricky to make a decent fat biscuity biscuit without flour but these magically work. I made just a couple of changes; I used coconut oil instead of palm shortening, maple syrup instead of honey and a couple of tablespoons of cacao powder instead of chocolate chips - because I'd run out of honey and didn't have the other two in my cupboard. Fantastic. Quick, easy and only 10 minutes to cook. Yum. Bristol Ivy has been recording trends on the "what's hot now" page on Ravelry since February 2013. Every day at the same time she makes a note of what's on the front page according to garment type, fabric type, yarn type, colour and whether or not it's on a model (so far she hasn't been separating knitted and crocheted items but it sounds like she's going to start recording that too). Her big project has been dubbed "The Stockinette Market" and I've been dipping in and out of her thread on Ravelry since she started because it's been so interesting. This week she was interviewed on Knit FM by Hannah Fettig and I really enjoyed what she had to say about trends and what's she's noticed about knitters and fashion (I think it applies to on-line sewers too). Look at that yarn?! It's the new line from Outlaw Yarn named "Bohemia Sport". So desperate was I to get my hands on some that I may have made a bit of a nuisance of myself waiting for it to be loaded on the website. A loosely spun two ply in sport weight, Bohemia is a blend of 45% Polwarth, 45% Alpaca and 10% Possum. The result is a luxurious, rustic, plump, soft yarn with a beautiful halo of fibres; light from the Alpaca and dark from the Possum. It's glorious! I can't tell you anything about how it's going to knit up or wear yet but I can tell you it took me ages to choose colours because the range of colours available is not only large but beautiful. There's a selection of vibrant and washed out, romantic shades of colour. I chose "London Town" (the darker grey), "Fog" the (silver grey) and "Gaslight" (the spicy mustard) and I'm thinking that they might just turn into a colourwork something all together. I absolutely love that this yarn is 100% made in New Zealand. Grown, spun and dyed here. It's such fabulous quality. Outlaw Yarn should feel proud. Fantastic! Last weekend I had a lovely time at the pop-up fibre festival. I managed to sneak away without the Myrtle clan and really enjoyed chatting to local traders and dyers. I did buy a couple of very scrummy things which I've ear-marked for future designs (designing from my stash is easier said than done!) and I met Deb who owns a shop I'd not heard of before called KnitnStitch. Deb lives quite a distance from me so I was pleased to see that she sells a good range of yarn and notions through her on-line shop, including the Bohemia sport weight yarn I've mentioned above. I've been on the hunt for some sharp tipped lace circular needles for a new design I'm working on and have been having a hard job finding them near me. Excitingly, Deb stocks Addi needles (Turbo needles in the US) and I'm looking forward to some arriving in my letterbox any day now. I simply had to show you two photos this week rather than my usual one on a Friday. I'm sure you understand why. 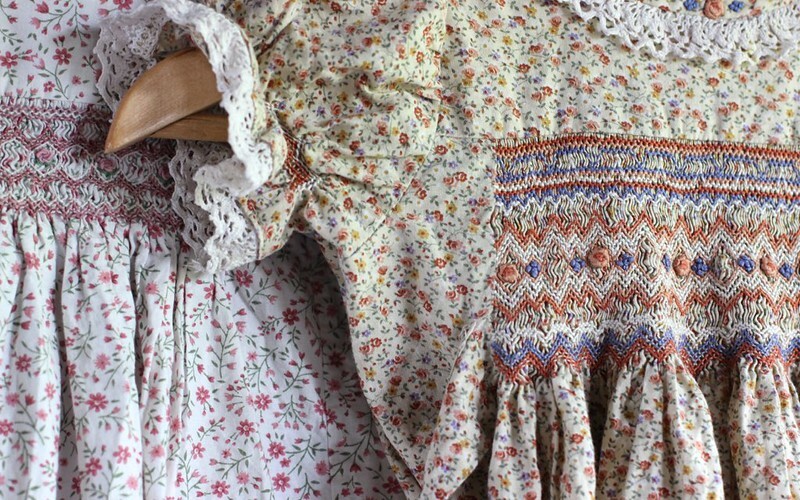 Isn't this smocking just exquisite? My Mum's friend Carol made every one of these lovely pieces. There is actually one more that makes up the set - a white dress with beautiful blue smocking that's a similar size to the pretty pink dress on the left - but it's at my sister's at the moment and she was already on her way to my place this afternoon when I called to ask her pop it in her car. 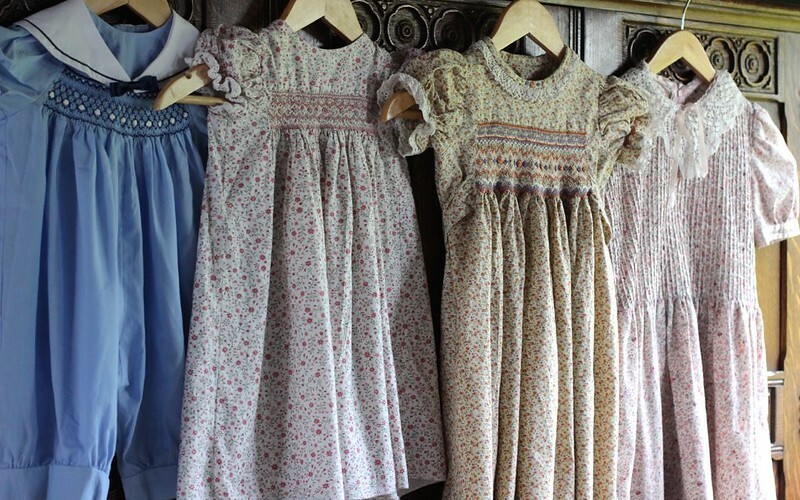 Carol made the pink dress on the far right for me when I was just 7 years old. The front bodice is made up of the most perfectly straight pin-tucks and originally it had a pink velvet ribbon around the waist that tied into a bow at the back. I do remember loving that dress and even though the lace at the neck is getting a little worn, my two big girls have both enjoyed wearing it too. The others were all made especially for my children. First came the blue romper for my son and it fitted him at about 8 months old or so. I remember him wearing it to a wedding at that age, all rolly-polly and bald in his cute outfit. The white dress (not in the picture) was made for my first daughter and she wore it for the first time to my sister's wedding. Then came the very sweet cream and pink dress for my middle daughter. She wore that dress to my brother's wedding at about 9 months old and then lots and lots until she was quite a big toddler as I decided it was simply too pretty to hide away. Carol allows a very generous hem and I just lowered it and lowered it as she grew taller. Just this year my youngest daughter was thrilled beyond belief to be given the apricot sprig dress with wide sashes that tie behind her back. There's been no weddings to go to but no matter, because she's four she's worn her party dress as much as she's able anyway, in all weather! Aren't they all just so beautiful? True heirlooms. 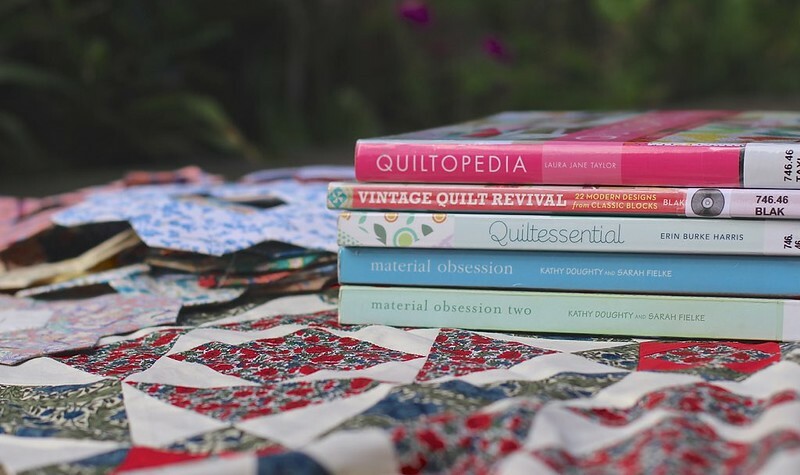 Lovely Helen of Curious Handmade gorgeousness has just released details about this year's Knitvent collection. I was lucky enough to receive her Knitvent collection last year and it was super fun being surprised with new patterns in the weeks leading up to Christmas. This year the collection is already looking to be pretty darn fabulous - in true Helen style. The first pattern a delicate beaded shawl, has been released and it's stunning. So, how does it all work? Well, Helen releases the patterns one by one each Tuesday in the weeks leading up to christmas. It's a bit like opening the doors on an advent calendar, you don't know what's inside beforehand but the surprise is reliably good. You can read more details here but I do feel compelled to mention - that if you buy Knitvent 2014 before the end of this weekend (Sunday 14 November 2014) you'll automatically get last year's fantastic Knitvent 2013 collection for free! Go! Quick!